It hasn&apos;t been 24 hours since the end of #FOSDEM and #PlasmaMobile developers have already made there way from Brussels to Berlin for a week-long development sprint. Expect great things! And is the red card plugged into it an AMD GPU? 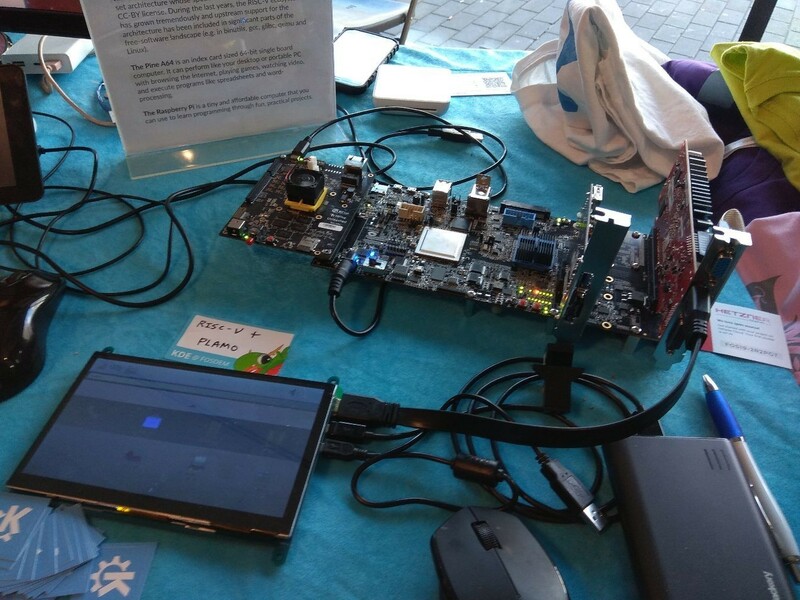 @Wolf480pl @kde That's RISC-V board and yes, it's using AMD GPU.